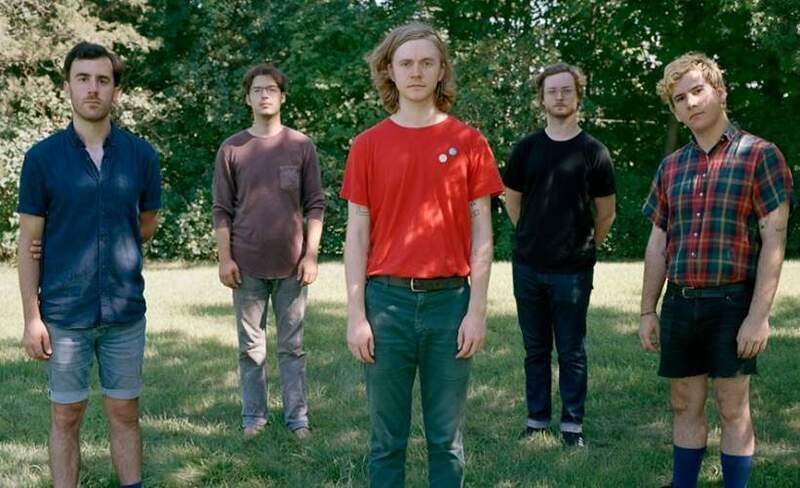 After a number of different releases and years of touring, Montclair, New Jersey's Pinegrove have offered their finest work to date with their newest LP, Cardinal. The band's captivating blend of indie rock, pop and country elements is more vivid, fine-tuned, and addictive than ever before. Vocalist/guitarist Evan Stephens Hall and drummer Zack Levine (drums) form a core that has been playing together since early childhood. Painting his emotions onto these songs with colorful and kinetic strokes, Hall moves through Cardinal's eight songs with unforgettable energy and passion, with a vocal performance that is pleasantly reminiscent of Will Oldham and Built to Spill's Doug Martsch. Highlighted by the downtrodden nostalgia of twangy opener "Old Friends" and the climactic refrain of "Size of the Moon," where the confession "I don't know what I'm afraid of," is just as much of a sing-a-long as it is an emotional breakdown, moods don't stay in one place for very long on Cardinal - they are carefully crafted and revisited throughout to continually evoke the album's central themes of memory, language, and home.